Classy Bride | From the day you say "Yes!" to the day you say "I Do! ", Classy Bride has the perfect bridal gift for you! From the day you say "Yes!" to the day you say "I Do! ", Classy Bride has the perfect bridal gift for you! Many brides are so excited to get ready on the big day and don their amazing wedding gown. You imagine walking down the aisle. You imagine the smiles on faces of your families and friends…BUT are you prepared for the gleeful look on the groom’s face? The groom will be patiently waiting at the alter and probably perspiring as he waits to say his vows. Men sometimes process the big day differently that us gals! They might stress about standing in front of the crowd, stumbling over their vows, and getting overheated in their tuxedos. They have been teased from their friends about taking the plunge and that day has finally come. Imagine the groom…he is in front of your loved ones stressing with no where to turn and no where to run. There is probably only one thing that will make him feel better at this moment…you! You are his best friend. You are his everything. You are the breathtaking bride that will be walking down the aisle at any moment. Remember you are the other half he has been waiting for. Your presence, your beauty, your being will pull out every emotion he has in him. The look of joy, love, and inner peace will exude from him. Enjoy this moment. Take it in. Enjoy this once in a lifetime look from the man you love. One of the most important things you have to consider is the venue where you will be getting married. Especially if you will be having a beach wedding, you need to prepare your wedding shoes for it. Instead of choosing something with a high heel on it, you will need to wear something flat. A good option for beach weddings is using a pair of white rubber flip-flops, as these are more suitable for walking on the sand compared to stilettos. Speaking of stilettos, you shouldn’t wear those either! This is because when you’re getting married, you will be moving around most of the time. From walking down the aisle to standing several minutes in photos, you will need to go with a pair of shoes that you find most comfortable. Unless you decided to change into something more comfortable, you will have to wear the shoes during the father-daughter dance and your first dance as a couple too! Always think of how comfortable you will be wearing the shoes you chose. 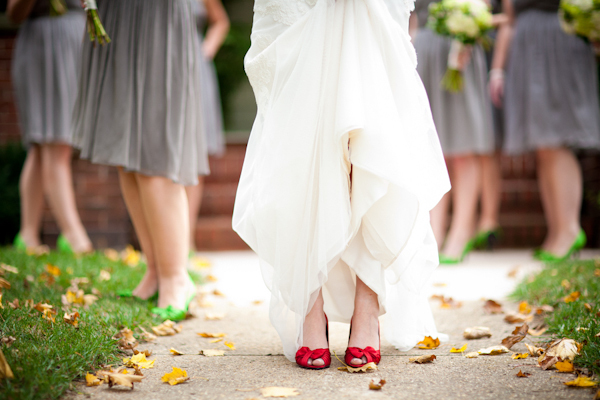 There are a number of wedding shoes that you can choose from. Make sure that you pick one out that you are most comfortable in. You can always go through our selection for some options that you may go for. Congratulations! You have just been named as the Maid of Honor at your best friend’s wedding. Now that you have accepted this role, it is important that you are aware of what is expected from you; among which is planning the bridal shower. As the Maid of Honor, you do not have to pay for the entire bridal shower; especially if you do not have the money to do so. Your role is to simply organize the whole event and split the bill amongst the other bridesmaids. The reason why the soon-to-be bride chose you is because she knows that you know her best. With this, you already have an idea on what her interests are. This alone makes you a qualified person to be the Maid of Honor, and thus plan her bridal shower. So how exactly do you plan a bridal shower on a budget? First off, you have to do your research and see who the other bridesmaids are. Gather enough information about them and how they became close to the bride. This will give you an idea on how to plan the bridal shower according to everyone’s interests. After you have obtained enough information, the next step is to ask the other bridesmaids to support you in whatever you plan for the shower. However, you also have to be open to their suggestions. This way, you can make everyone pleased with how the party will go. Once you have their support, you can start planning the party. This is because you have already set a budget, which will determine how the shower will be celebrated. There are so many options for a bridal shower that you can use. The important thing is that everyone will have fun, especially the bride. You can go through our selection of bridal party gifts that you can use for the shower as well. So you just accepted a role to be your best friend’s maid of honor, what exactly do you need to do? Well, as the maid of honor, you have the responsibility to plan her bridal shower. The reason for this is because among her friends, you are the one she chose to be the maid of honor. This means that you are the one who’s closest to her and that she trusts you a lot. Normally, the people who attend a bridal shower are the women on the bridal entourage. But apart from this, you can also invite the mom of the bride. Another tip is to invite the groom’s mom and sisters. This is a good way for everyone to bond right before the wedding commences. There are countless number of themes for a bridal shower. Many choose to stick to a traditional shower, but have you thought about a theme? How about one of these bridal shower themes? For the Home: the guests can shower the bride to be with kitchen gadgets and cooking necessities. You can decorate with personalized whisks and other kitchen themed bridal shower favors. Lingerie Shower: the guests will have a ball shopping for something special for the new Mrs. to don on her honeymoon. Lingerie doesn’t necessarily mean teddy’s and babydolls. It can include loungewear, personalized robes, wedding cake pajamas, and other classy items the bride will appreciate. Everything MRS.: the guests can enjoy watching the bride to be unwrap everything she will need once she is married. You can decorate with a “Future Mrs.” banner and write out the place settings for each guests…Mrs. Smith, Miss Williams, Mrs. Cohen. If ever you’ll have a regular party, you will need to prepare some games so that everyone will get to enjoy the celebration. This is a great way you can make everyone know each other, especially those in the bridal entourage. A party is never complete without decorations. And when it comes to bridal showers, there is a selection of items you can use for the party. Among these include clothes and props that indicate who the bride is. You can check out the available bridal shower gifts at our website. We can personalize for your friend’s bridal shower. Classy Bride offers the perfectly personalized bridal gift just for you. Bride to Be’s everywhere are smitten with our personalized pajamas, personalized underwear, boxers, and boyshorts! Our custom hoodies and tank tops have become must haves for the big day while our personalized pajamas have become a sought after honeymoon gift for the newlyweds. New this year are our custom tote bags each featuring our one of a kind Classy Bride Signature designs. Our attention to detail, customer service, and quick processing times make us the go to online retailer for the perfect bridal shower and bachelorette party gift! Classy Bride offers over 20 screen print colors to perfect match up with any color wedding theme. Your custom design studio awaits here at Classy Bride. Have fun designing and creating that perfect custom bridal gift. We would like to welcome you to the official Classy Bride Blog where you will find the latest products to hit the bridal market, press releases, and expert advice from our contributors! Classy Bride has been outfitting brides and her entourage for over 10 years. We started offering bride tank tops and wedding underwear and have expanded into Bridal Lingerie, Wedding Favors, Just Married Swimwear, and Personalized Bridal Gifts. Our happy little company is based in Los Angeles, but we ship all around the world. Please stay tuned and check out our website: www.classybride.com.